Here are lots of details about my FVR program. One of the ways I help my little darlings pick the perfect book is by writing the reading level on the front cover on a mailing label. I noticed that it was hard for students to select a book at an appropriate reading level without any assistance, so I started leveling them. I strategically chose to level them by letter, rather than number. 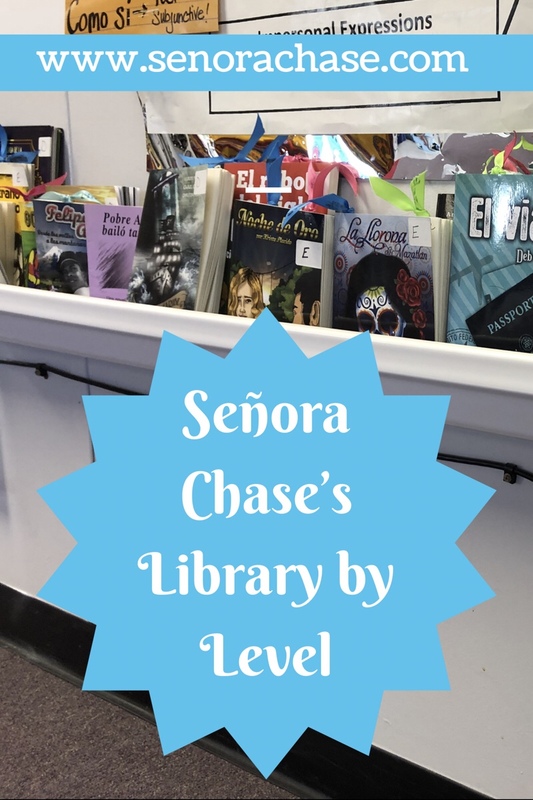 (I didn’t want a student in Spanish 2, for example, to feel like they must read a book marked Level 2) The labels also help the books to get back to the correct shelf (errr…rain gutter) after we’ve finished reading. Next The day I cried then ditched the desks. This is a treasure chest of help to me and my colleague while we work on improving our FVR library. ¡Mil gracias! What a great resource! I would love to be a student in your classroom. For your most novice learners, Edi el Elefante would be a wonderful FVR choice. I think that title is in the order I just placed!! Thanks for the recommendation, I can’t wait to add it to the collection! How many copies of each title do you have? Also, if you read a novel as a class, do you include a copies of that book in your library? There’s 2-5 copies of each book. I’m moving away from class novels in favor of Free Reading. This past year I only did 1 class novel with my 1s before they were ready for FVR. The year before I did class novels- I included those in my library but with a sticker on front that said which level would read it. So Robo en la noche said “leer in Español 2”, so my 1s who weren’t planning on going on and my 4s could read it.